Fuchsia Voremberg and Ben Maggs present “Opium: The Santo Domino Collection,” an exhibition bringing together memorabilia from 19th Century opium dens. With over 3000 items for sale, it displays some of the intricately designed paraphernalia associated with ‘chasing the dragon’. Voremberg and Maggs encourage a shift from the pages of Sherlock Holmes and fin de siécle cliches to a more serious understanding of these artefacts. 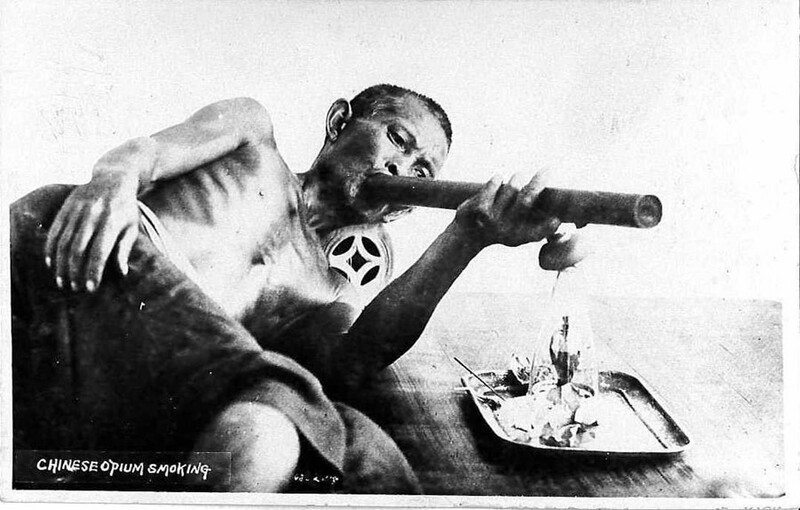 The act of opium smoking extended beyond simply losing oneself in oblivion, and became a culture of exotica. Reading like a forgotten history of decadent vice, the collection of pipes, books and smoking needles beaten out of bicycle spokes shows the dark, artistic beauty of the tools associated with opium. Above we show a preview of images, and the show is open now and runs right through until August at Maggs Bros Ltd book shop.